In their Wednesday meeting, the two sides discussed bilateral relations, regional issues and international developments. The Turkish president expressed regret over the tragic incidents following the recent floods in some parts of Iran and condoled with the families of the victims. For his part, FM Zarif congratulated Turkey on successfully holding its local elections and the high turnout of Turkish citizens. During the meeting, the two sides stressed the expansion of bilateral relations within the framework of the two countries’ agreements on five areas to boost mutual economic ties. 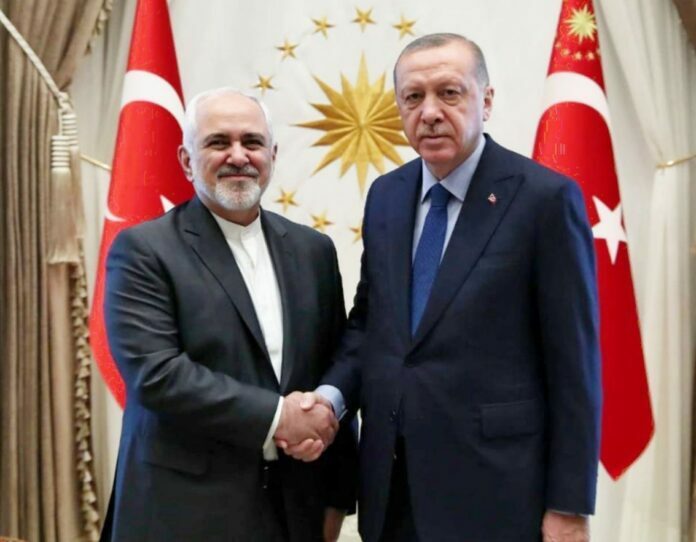 Zarif and Erdogan also expressed their opposition to the US-led sanctions and the labelling of the IRGC as a terrorist group. They also exchanged views on the latest developments in Syria, Yemen, North Africa and Venezuela.